A next generation sports science platform for player development and scouting by TrinityVR. Trusted by players and teams in the MLB to drive plate discipline and improve their game. DiamondFX is an incredible experience. It allows me to feel like I'm in the box against the same pitchers I face every day in the big leagues. I have incorporated it into my daily preparation and it has made an enormous impact on my game. Test and train key cognitive-perceptual and sports vision skills using a single powerful software suite, DiamondFX. Identify norms, improve player performance. Records response, reaction and recall abilities against top-tier pitchers. VR-based sports vision and perceptual-motor tests. Dashboard with custom reporting and integrated analytics API. 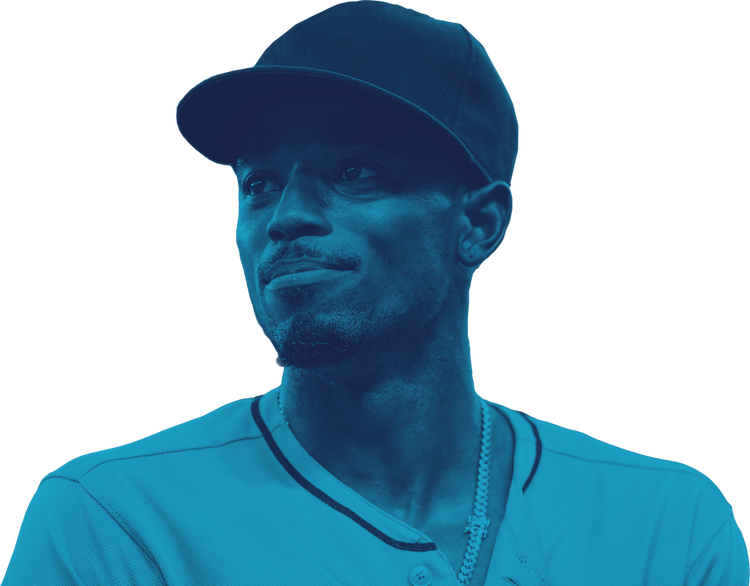 DiamondFX is our next generation player development and scouting system that combines real MLB data, virtual reality and machine learning to help teams and players make better decisions. Help teams find minor league players or draft prospects who consistently bat over .300 against a given opposing pitcher. Help players simulate at-bats against tomorrow’s starter to improve their swing and the odds of real-world success at the plate. Standardize performance data for objective player comparisons across leagues and countries for data-driven contract negotiations. 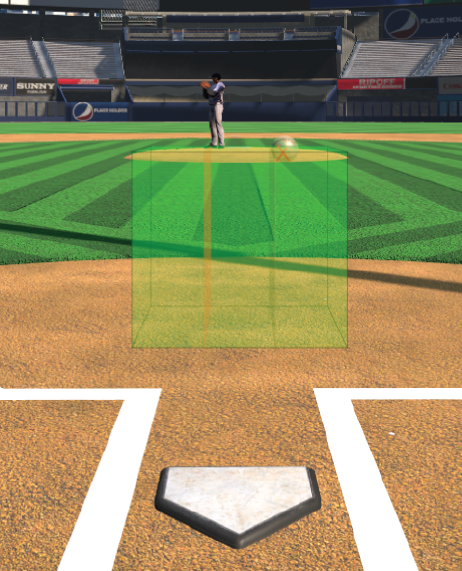 Our patent-pending virtual reality (VR) system accurately models real pitches with accurate ball-flight path, spin and physical pitching dynamics using high-fidelity biomechanics and pitcher phenotypes. Sports vision and perceptual-motor tests designed by Dr. Daniel Laby, our Chief Science Advisor, are a proven corollary to athletic performance. 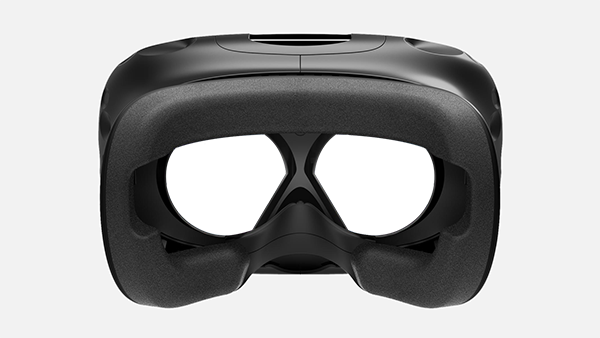 Recent studies have demonstrated the efficacy and transfer of batter performance from virtual environments to the real world. All plans come with training, installation, and 24/7 remote support. "Virtual reality isn’t just a game. It isn’t just entertainment. The minds behind Trinity VR’s DiamondFX system have given virtual reality real heft in data collecting, data generation and training." 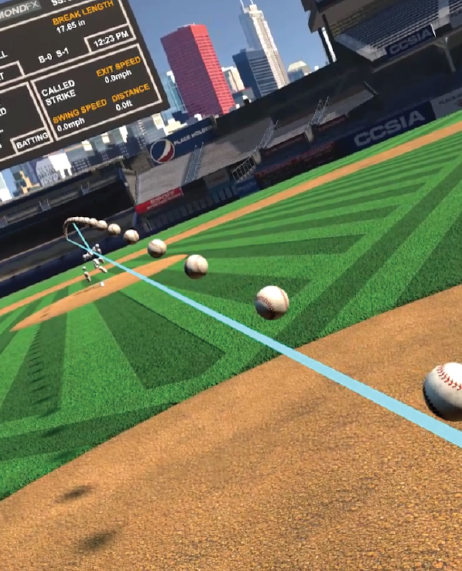 A year after launching its DiamondFX batter training product, TrinityVR has installed its virtual reality systems for two major league organizations, and one is already reporting some early gains. Trinity VRis an ambitious new virtual reality company behindDiamondFX— an experience that combines the immersive power of the HTC Vive with the unending statistics of Major League Baseball. Please let us know if you have any questions about us or our platform. We're happy to chat!